Yoxxie features your Exhibitors, want to see how? 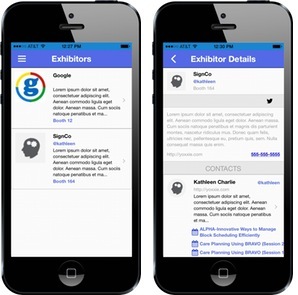 The Yoxxie Mobile Engagement Platform allows you to feature your event Exhibitors and their offerings. Contact us and get a demo scheduled today.